I stayed just for one night but my experience with Pupa hostel was great. Good location, polite and helpful stuff, clean, nice atmosphere in common room. I will come back for sure. This hostel gets it all right! Perfect location with waterviews and easy flat walk to bus station, old town and food market. The most comfortable mattress, clean little kitchen and happy common area. The host is super friendly and helpful, on my departure day he even helped each person out with their bag and waved them off! 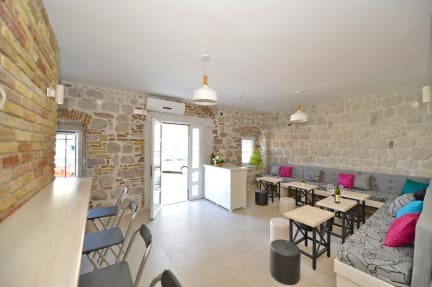 Best hostel in the centre of Kotor with great facilities and safe for girls. perfectly located near the old city, bus station, supermarket, eateries etc. perfect place to rest and meet people. super helpful task. Not a party hostel! Pupa was simply just amazing! Their forte would be the staff and customer service. Hats off to Kristina for being such an amazing host! She gave very detailed information about Kotor, including this 3+ hour hike that I didn't imagine myself doing! Apart from that, their level 2 chill area was simple but I had the most fun there with friends that I have just met in the hostel. This was in low season, so imagine what it is like in the high season :) Ps the grill restaurant next door is good! 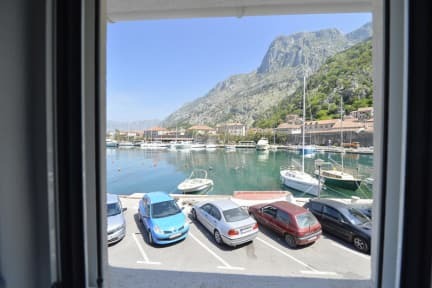 If you’re backpacking in Kotor then you’re either staying at one of two places; this place is a sure winner! The Hostel was ok in a Sense that it met my Standard for Cleanliness, Sleepability and Security. What I really liked about the Hostel is Tips and Recommendations of the Staff. Owner and female staff were nice and helpful and the location is a 5 minute walk to the Old Town. Hostel is clean but common space is small and shared kitchen is tiny! In winter/spring, upstairs is closed, so guests only have access to small space downstairs. Beds are comfy but rooms were cold at night even with heat on. Unfortunately, the Dutch male volunteer was a rude, incompetent drunk who hadn't been trained well at all. This had a negative impact on my stay.